Finkenberg is a moderately sized Tyrolean village in the stunning Zillertal Alps with a long ski and tourism tradition. Home of Leonhard Stock (winner of the gold medal in the Men's Downhill in the 1980 Lake Placid Olympics).The village is situated about three kilometres south-west of Mayrhofen and 200m above the River Ziller on a generally sunny, gently inclining terrace of the Tuxertal area. 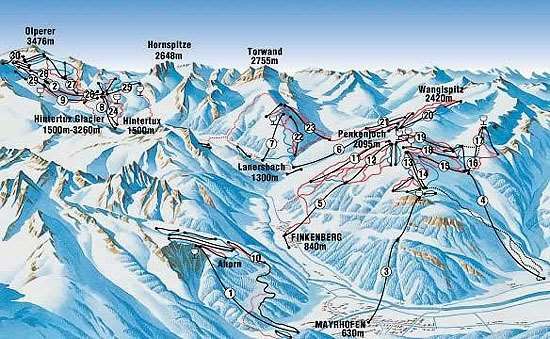 In skiing terms, Finkenberg is located in the centre of the Ski Zillertal 3000 ski area which runs from neighbouring Mayrhofen over to the year-round snowfields of the Hintertux glacier. Ski and Glacier World Zillertal 3000 is the largest single ski region within Austria`s beautiful Ziller Valley. If you want a picturesque setting and great skiing with easy access to this whole Zillertal area, then Finkenberg is for you. There are many snow making facilities across the Zillertal 3000 ski area which makes for guaranteed snowfall throughout most of the season. There are a few bars and restaurants in the village to enjoy apres-ski fun some with live music and themed nights which last until early hours of the morning. For a much more lively apres-ski head to the surrounding villages of Tux or Mayrhofen which has a much larger selection of bars and clubs. 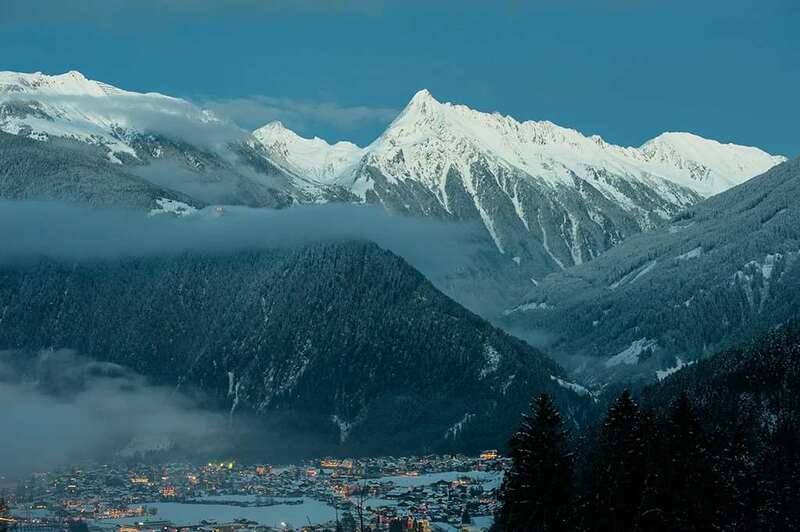 The nearest international airports to Finkenberg is Innsbruck, Munich and Salzburg which are all within a two hours drive of resort.